Song Zhang, Cagatay Demiralp, Daniel Keefe, Marco DaSilva, Benjamin D. Greenberg, Peter J. Basser, Carlo Pierpaoli, E. A. Chiocca, T. S. Deisboeck, and David H. Laidlaw. 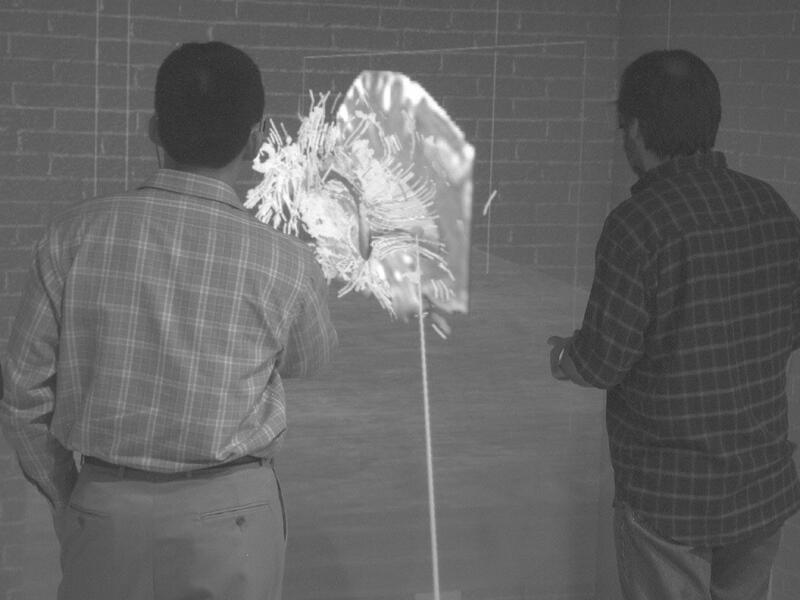 An Immersive Virtual Environment for DT-MRI Volume Visualization Applications: a Case Study. In Proceedings of IEEE Visualization 2001, pages 437-440, October 2001. (pdf) (bibtex: Zhang-2001-IVE).